If you'd like to have a mini macaw for a pet, you should know that the only small thing about these parrots is their size. Personality literally bubbles out of these birds, so potential owners need the right stuff to be able to keep up with the little guys. Mini macaws need lots of interaction from their owner, along with plenty of toys and an abundance of space. These intelligent parrots easily bond with their owner and can be depended upon to eventually mimic what you say and movements you make. Plus they usually live quite a long time for a bird, with a lifespan of 20 to 30 years, so that's a significant commitment. Find out all you need to know about mini macaws—the species, how to care for them and what it takes to be a good mini macaw owner. At 12 inches long, the Hahn's macaw is the smallest of all true macaws. Intelligent, charming and easy to care for, Hahn's macaws have recently exploded in popularity as pets. 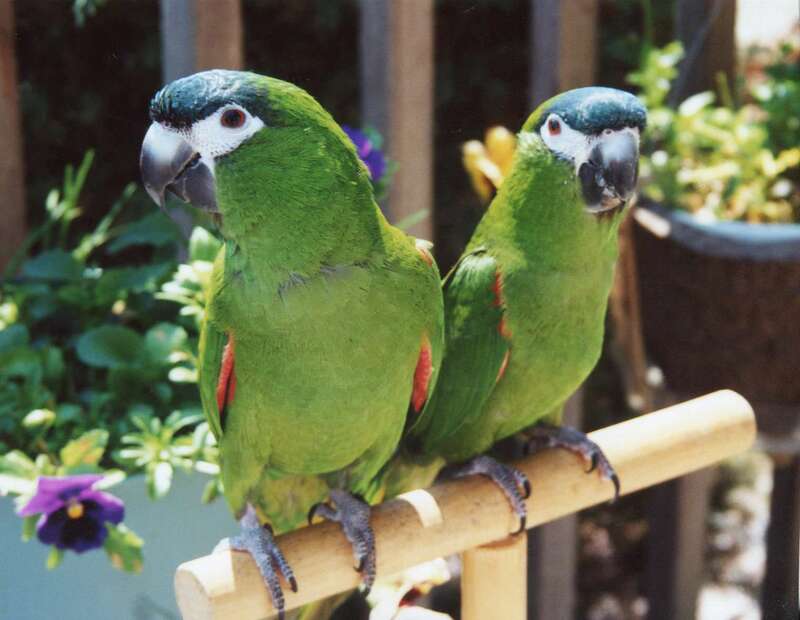 One look at these little guys says it all—Hahn's macaws are adorable. Illiger's macaws are playful, friendly birds that enjoy human interaction. When hand-fed as babies and raised in loving, attentive homes, these intelligent birds bond strongly with their owners and quickly respond to positive training techniques. They require a lot of mental stimulation and they like to stay busy, so an Illiger's macaw is not for owners that don't have plenty of time to spend with their pets. At around 16 inches in length, the Illiger's macaw is a medium-sized bird that still needs plenty of space to be comfortable. The largest of the mini macaws, the Severe macaw's even larger personality makes it a favorite with bird lovers. With adequate socialization, Severe macaws bond easily with their owners, responding well to training and boasting impressive speaking abilities. Because these birds need a lot of mental stimulation, potential owners should make sure that they have plenty of free time to spend with their new pet. Affectionate, but somewhat mischievous, the 15-inch long yellow-collared macaw has a reputation for being an intelligent and resourceful little parrot. They thrive on attention from their owners, and like other macaws will seek that attention by any means necessary. Many yellow-collared macaws are little escape artists, so steps should be taken to provide a cage that is safe and secure. Although some are one-person birds, most yellow-collared macaws make extraordinary family pets.